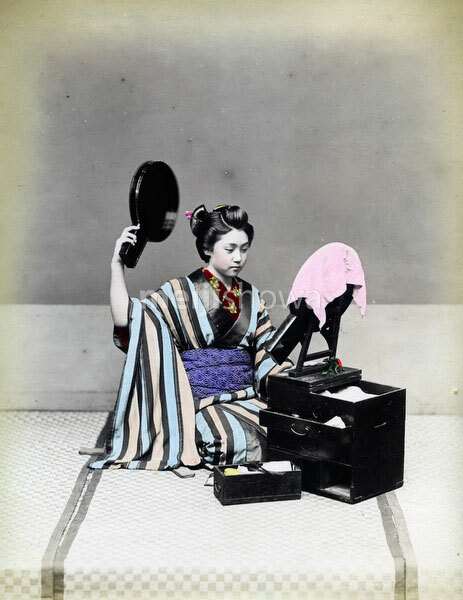 A woman is examining her hair with awasekagami mirrors (合わせ鏡), one of them strategically placed on a keshoubako (化粧箱, make-up box). There is a piece of cloth on the mirror. When not in use, mirrors were always covered with textile.